OverviewA vehicular combat game set during the oil crunch of the 1970's. Take the side of hired thugs out to turn the oil crisis into a catastrophe, or, take the side of the heroic citizens out to stop them. 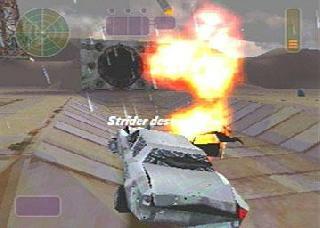 Vigilante 8 is a vehicular combat video game released on June 4, 1998 for the PlayStation, Nintendo 64, and Game Boy Color. 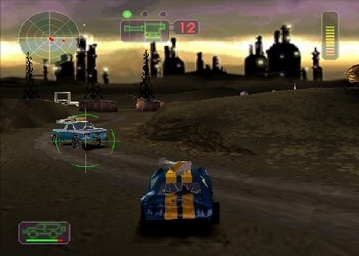 It is a spinoff of the PC game Interstate '76, and features several concepts (auto-vigilantes, the 1970s time frame, and specific fictional vehicle companies) carried over from that title. 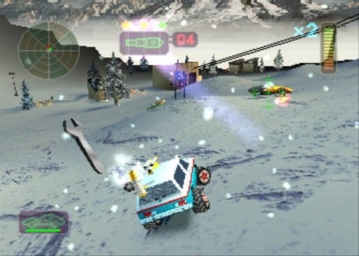 Vigilante 8 was developed with a team of only five people (Peter Morawiec, Adrian Stephens, David Goodrich, Jeremy Engleman, and Edward Toth), a seemingly impossibly small team size for developing a PlayStation game, when most development teams for such a console ranged around 20–30 people in the 1990s. Now you can add videos, screenshots, or other images (cover scans, disc scans, etc.) for Vigilante 8 [U] to Emuparadise. Do it now!